Srinagar: Nearly a year after the uprising in Kashmir following the killing of Hizbul Mujahideen commander Burhan Muzafar Wani, 26-year-old Zahid Manzoor Wani, of Kareemabad area in Pulwama, left his home never to return. 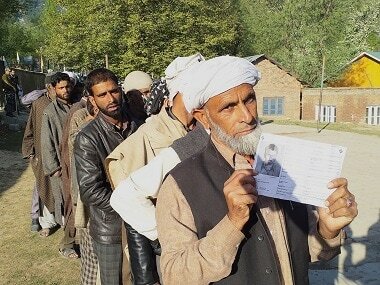 His family thought he may have joined protests in the nearby village of Hakripora, where Lashkar-e-Taiba (LeT) chief Abu Dujana was trapped in a gunfight. But he didn't return home even as Dujana managed to slip from the encounter – he (Dujana) was later killed in a gun battle with the forces in the same area in August. The Zakir Musa-led Ansar Ghazwatul Hind later claimed that Dujana was affiliated with the group and that he was one of its 'first martyrs'. 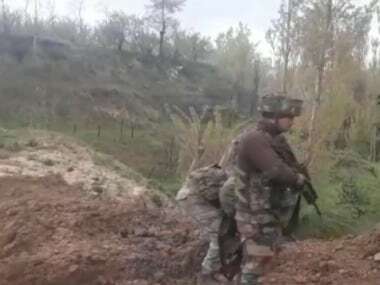 In May last year, Zahid announced his association with Hizbul, following an often repeated route: He posted a gun-wielding photo of him on social networking sites. He had completed his bachelor's degree in science from Pulwama college and had joined the family business of selling pesticides at a shop in south Kashmir before he gave that up to pick up arms. One of Zahid's brothers is doing MBBS while the other is pursuing BSc at Pulwama college. The family owns an apple orchard which fetches a harvest of nearly Rs 20 lakh each year. Zahid's father, Manzoor Ahmad Wani, said that months before his son joined militancy he was picked up by the police and tortured. "He was beaten up and released after 18-days of detention," said Manzoor, adding that Zahid had left home on 23 May never to return. He said that before Zahid joined militancy he used to pray for long hours in the mosque. "He left in the evening near prayer time. First, we thought that he may have been in the mosque but as he didn't return and when we heard about a gun battle in a nearby village, we thought that he must've gone there to take part in the protests. But he never returned and we did not know where he was until we came to know that he has joined Hizbul," Manzoor said. 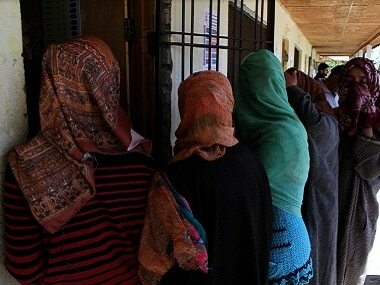 More and more youth, particularly the educated ones and those from well-off families in Kashmir, are joining militancy. This has spurred a new security concern in the Valley. But Additional Director General of Police Muneer Ahmad Khan said that efforts were being made to wean away the youth from militancy, which includes asking family members to counsel them to give up arms. 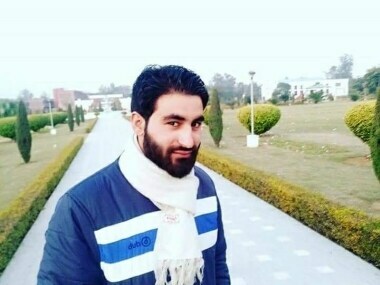 The recent shift towards militancy of a scholar from Kupwara, Manan Wani, who was pursuing PhD in Geology at the Aligarh Muslim University (AMU) is being seen by Hizbul as a "rebuff to India's propaganda that youth are joining militant ranks because of unemployment and economic problems". Speaking about Manan joining Hizbul, its chief Syed Salahuddin said that, "for the past several years, the educated youth have joined Hizbul to take the ongoing movement to the logical conclusion. Former Hizbul commander Zaf Akbar Bhat said that that there has been no letup in the number of educated youth joining militancy since it started in the 1990s. Bhat said that a number of militant commanders who were killed earlier were also "highly qualified". "Joining of youths like Manan sends across a message to the international community that the freedom movement in Kashmir is running due to the conviction of people and that it was not about issues of unemployment." "A number of educated men like Ghulam Mohammad Mir, who was the Ameer of Hizbul and had done his Masters in three disciplines, were killed. Commander Masood Ahmad Tantray was also a postgraduate in two subjects and had pleaded the need for the return of peace to Kashmir before the Indian home secretary in 2001," he added. Security officials see the entry of educated youth in militant ranks as a new threat. Even family members of police officials or active policemen are joining militancy. 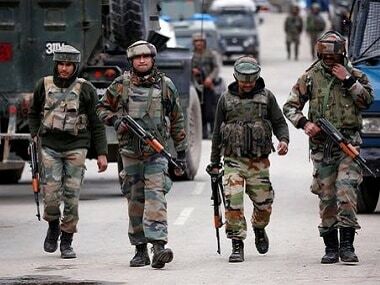 In a recent Fidayeen attack on a CRPF camp at Pulwama, in which five force personnel were killed, one of the militants was 16-year old Fardeen Ahmad Khanday, the son of a police constable. Ghulam Rasool Pandit, father of slain Hizbul militant commander Nasir Ahmad Pandit — who was working as police constable — said that his son joined militancy after he "couldn't bear the excesses being committed on our own people". Naseer had fled with two AK rifles while he was posted on the security detail of education minister Altaf Bukhari in 2015. He became a close associate of Burhan and was killed in April 2016 in a gun battle with the forces, which resulted in widespread protests in his hometown of Kareembad. "Youth like Zakir Musa – who is the head of Ansar Ghazwatul and Riyaz Naikoo of Hizbul – gave up better education and that encourages other boys to join militancy," a security official said. Police officials said that a number of youth, including those with postgraduate and BTech degrees, had joined the militant ranks since last year.